The Telecommunications Regulatory Authority (TRA) of the United Arab Emirates (UAE) is a Federal UAE Government entity established according to the UAE Federal Law by Decree No. 3 of 2003 – Telecom Law. The TRA is responsible for the management of every aspect of the telecommunications and information technology industries in the UAE. The organisational objectives of the TRA include: ensuring adequacy of telecommunications services throughout the UAE; achieving enhancement of services, both in terms of quality and variety; ensuring quality of service and adherence to terms of licenses by licensees; encouraging telecommunications and IT services within the UAE; promoting and enhancing the telecommunications sector within the UAE; resolving disputes between the licensed operators; establishing and implementing a regulatory and policy framework; promoting new technologies; ensuring that the UAE becomes the regional ICT hub; developing the country’s human capital; and encouraging research and development.The TRA is also the current ccTLD manager for .ae, the national name space in the UAE. Through the TRA, the UAE was one of the first countries in the world to launch its own IDN ccTLD, .امارات (dotEmarat,) in 2010. The TRA represents the UAE government in various ICT-related international organisations, committees and forums such as ITU, ICANN GAC, APTLD, IGF, LAS, the GCC and many others. The TRA is a RIPE NCC member and active stakeholder in the RIPE community. The TRA is also an active GAC member within ICANN since 2005. DE-CIX provides premium Internet exchange (IX) services and operates several carrier- and data center-neutral Internet exchanges internationally. Founded in 1995, DE-CIX established an environment for the bilateral settlement-free exchange of Internet traffic called peering. The company serves 800+ carriers, ISPs and content networks from 60+ countries, including all leading international players in various metro markets in Europe, the Middle East and North America. With 5.1+ Terabits per second of peak traffic, DE-CIX Frankfurt is the world’s leading Internet exchange. DE-CIX is your one-stop-shop for peering, interconnection and additional IX services. For more information, please visit www.de-cix.net. Verisign, a global leader in domain names and internet security, enables internet navigation for many of the world’s most recognized domain names and provides protection for websites and enterprises around the world. Verisign ensures the security, stability and resiliency of key internet infrastructure and services, including the .com and .net top-level domains and two of the internet’s root servers, as well as performs the root zone maintainer function for the core of the internet’s Domain Name System (DNS). 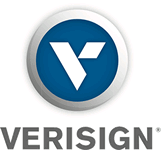 Verisign’s Security Services include Distributed Denial of Service Protection and Managed DNS. Established in the early 1990s, AMS-IX (Amsterdam Internet Exchange) is a neutral, non-profit and independent Internet Exchange based in Amsterdam, the Netherlands. Business internet traffic at AMS-IX has a peak of close to five terabits per second (Tbps) and it interconnects around 800 IP networks, making it one the largest Internet Exchanges in the world. The AMS-IX platform provides IP interconnection and peering services of a guaranteed high quality for all types of IP traffic, irrespective whether this is traditional data, Voice over IP, mobile Internet traffic or video. By means of peering, these networks can provide their end users (both consumers as well as companies) with stabile, fast and cost-efficient Internet services.AMS-IX also manages the world’s first mobile peering points: the Global GPRS Roaming Exchange (GRX), the Mobile Data Exchange (MDX) and the IPX interconnection points. Furthermore, AMS-IX also manages two additional Internet Exchanges abroad: AMS-IX Hong Kong and AMS-IX Caribbean on Curaçao. AMS-IX’s subsidiary company AMS-IX USA Inc. manages AMS-IX Bay Area, AMS-IX Chicago and AMS-IX New York in the United States of America. Hilco Streambank is a leading IPv4 broker in North America, Europe, and the Asia Pacific regions. For large or complex IPv4 transactions, our IPv4 team will arrange and negotiate direct transactions between buyers and sellers looking for custom solutions. For parties looking to take advantage of a new simplified process, IPv4Auctions.com provides a great way to quickly and efficiently get the resources you need. Check out IPv4Auctions.com to view previous sale prices. Founded in June 2011, Twitch is the world’s leading social video platform and community for gamers, video game culture, and the creative arts. Each day, close to 10 million visitors gather to watch and talk about video games and more than 2 million streamers. Join the millions of people who come to Twitch to stream, view, and interact around these shared passions together. EdgeConneX® is the only global Edge Data Center® provider. Creating purpose-built, edge-of-network infrastructure solutions that extend the Internet’s reach, EdgeConneX enables the fastest and most secure delivery of content, cloud services and applications. Edge Data Centers host bandwidth-intensive and latency-sensitive data closer to End Users, establishing a more secure, reliable and cost-effective distribution model for the internet. For more information, please visit the EdgeConneX Internet of Everywhere® at edgeconnex.com.